Travis is the Founder and Chief Media Hacker of Chamber, a new media advertising agency with offices in Los Angeles and Provo. His company helped design the content strategy and distribution campaign for “Kobe vs. Messi: The Selfie Shootout,” which garnered 140 million video views and was awarded the Ad of the Decade by YouTube. Chamber Media has also helped launch campaigns for brands such as Yahoo, Coca- Cola, Amazon, LAN Airlines, TiVo, Glasses. com, 2XU, NordicTrack, and Ken Garff. 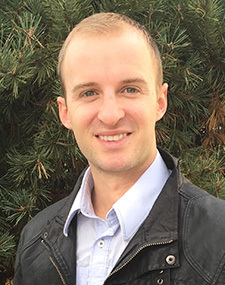 Travis graduated from Utah State University in 2011. He enjoys spending time with his wife and daughter, and they are expecting their second child. In his spare time, he goes spearfishing near his home in Los Angeles, California and downhill mountain biking when he is able to escape to the mountains.